//	Why You Shouldn’t Game on Nvidia’s BFGD 65-inch 4K Displays Yet? Why You Shouldn’t Game on Nvidia’s BFGD 65-inch 4K Displays Yet? 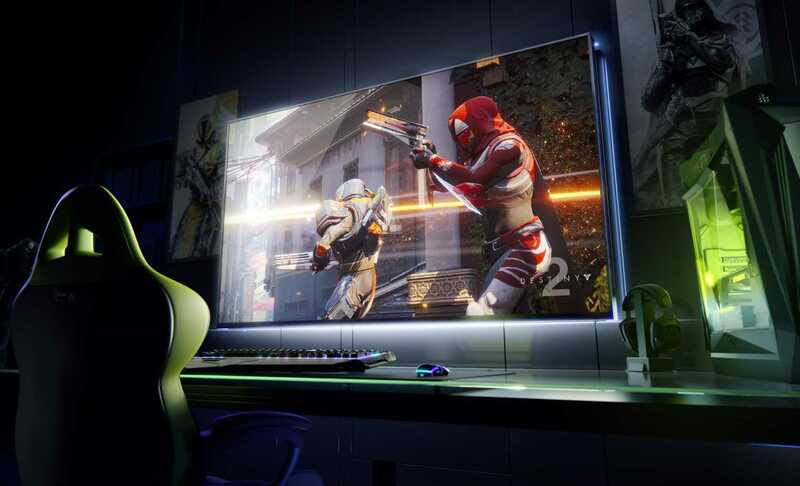 Nvidia has crossed all the barriers and has pushed the limit with their new Big Format Gaming Display. The massive 65-inch display with 4K resolution is truly an overkill and it is going to be extremely difficult to actually play on these displays. The main difference between PC gaming and console gaming is that gamers always sit on a chair, close to the screen. Besides, they often play RPG, first person shooters and any genre that demands a lot of attention as well so many things to take note in large maps as it is done in RTS. Players control multiple units and sit very close to the display, as less as 1 feet in many cases. Console gamers are an entirely different lot as they sit so many feet away from their display. Even then, they often stop with 40-inch or 50-inch displays. The newly launched BFGD by Nvidia is a seemingly overkill option which may sound all great during the CES 2018 but in reality it is not something you should try to play your games on. Besides, the pricing of the monitor is definitely going to intimidate most buyers. Despite all the practical issues associated with playing on a 65-inch screen with 4K resolution and 120Hz refresh rate, big brands like HP, Acer and Asus are about to join the lot. Nvidia is going to push these top manufacturers to make these huge displays which will be powered by their own G-Sync technology. In order to keep things zippy without any screen tearing or frame rate issues, they will also be built-in with Nvidia Shield so as to do a wide variety of actions and turn them into smart displays with lots of great apps built-in. These displays will also be extremely bright with 1000-nit peak brightness. Gamers can also watch Youtube, Netflix and Amazon Video out of the box without having to buy an individual HDMI dongle or connect it to a computer making it more of a television than an actual gaming monitor. But, when Nvidia G Sync is built-in it is evident that the device has been designed from the ground up to be a gaming device and not just a random television screen. The display makes use of Quantum Dot panel technology with low response time and will be useful even to game on an Xbox One X or PS4 Pro console.